This is an 18-acre community park. 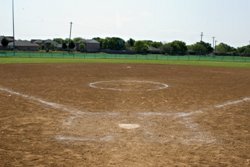 Amenities include three competitive softball fields, two playgrounds, three picnic shelters, 15 picnic tables, a basketball goal with concrete court, a sand volleyball area, two restrooms and surface parking. It is also home to Moseley Pool, built in 2000.